Each year Beat SCAD supporters hold Scones for SCAD events during February. Celebrating Heart Month and Rare Disease Day, these events are a great way to increase awareness of SCAD and raise much-needed money for research. The UK research started with funding from the British Heart Foundation, however that came to an end in 2017, so we need to keep raising money so the research can continue. Beat SCAD is a small charity led by a group of volunteers. We have no full-time staff and all volunteers perform Beat SCAD duties during their spare time. Given the limited resources available, we rely on supporters to help us. Every penny counts and even relatively small amounts can make a difference. For instance, the funds raised in our Prize Draw in 2017 meant we could donate £3,000 to the research project, which enabled the team to start a genetics study. 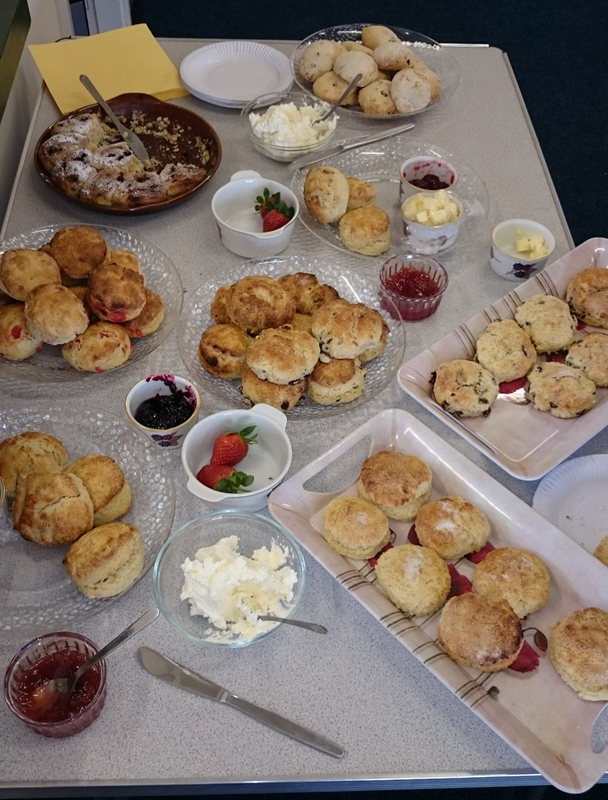 The idea behind Scones for SCAD is that supporters hold events to bring people together, such as coffee mornings or tea parties, at work, at home, in the village hall… with the theme of scones, cakes, biscuits or any other type of bakes! At Beat SCAD, we are all about healthy living and there is no reason your Scones for SCAD events cannot focus on heart-healthy recipes. For some inspiration, why not read about previous events and if you’d like to take part, click here to register your interest and download our Scones for SCAD pack.